Background..................... (17) 1 1/2" x 12 1/2"
to 1/4", flip and press back. 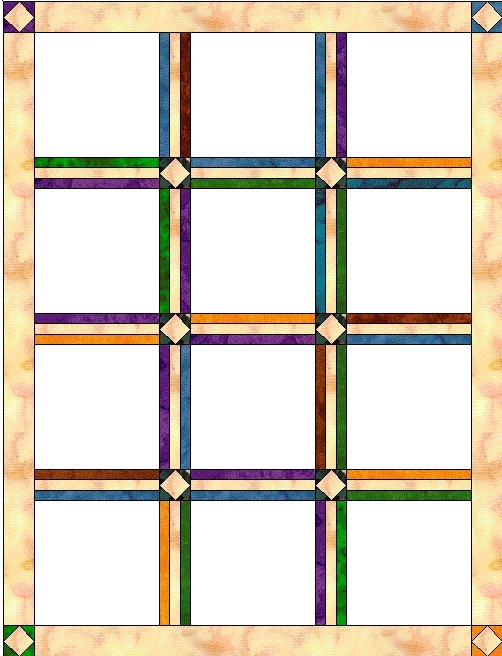 Repeat in remaining corners, a shown: Your block should measure 3 1/2"
With above method, make the following block using (1) 3 1/2" Background square, and (4) like Coordinates, as shown: Your Inner Border Cornerstone blocks should measure 3 1/2"
NOTE: Be sure to measure through middle of quilt top to get a PRECISE measurement!! 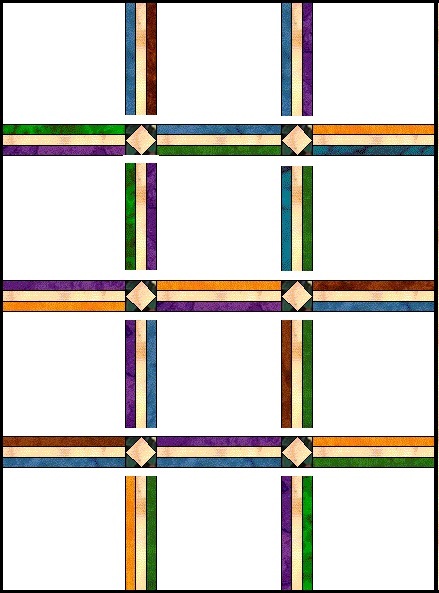 Cut (2) 5 1/2" x 58" ****NOTE: "" """ """ ""
Sew outer side borders on , then sew top and bottom. 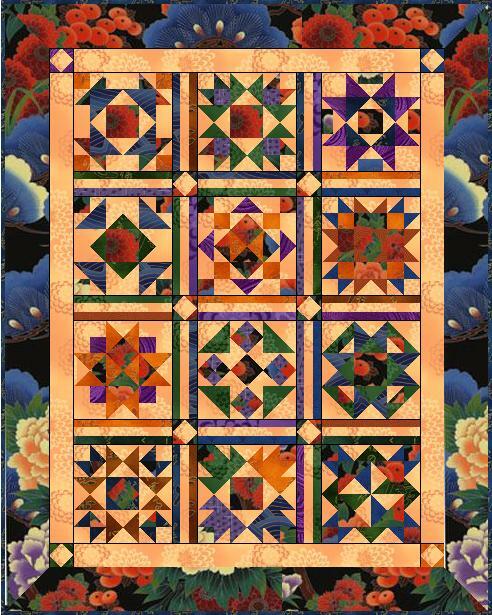 Thank you for joining in the fun with this 2010 Persimmon Quilts Block of the Month.